When is the last time that you replaced the windows in your home? If you don’t know the answer, there’s a really good chance that it’s been entirely too long since you’ve had window replacement done. And that means that you are missing out on all of the amazing benefits that go along with doing it. Here are just a few of the benefits that you can enjoy when you decide to have your windows replaced. They will be more energy efficient than your current windows. Windows have come a long way over the course of the last decade or so. Just about every window manufacturer puts a premium on making their windows energy efficient these days, which means you will be able to save money on your electric bills by installing windows that control the climate in your home effectively. You won’t have to worry about cool air escaping in the summertime or warm air leaking out in the wintertime when you have new windows installed in your home. They will keep the sun’s harmful UV rays out of your home. 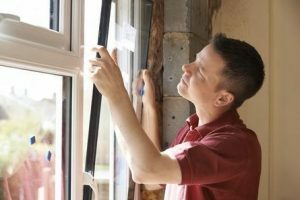 Much like they have made energy efficiency more of a priority when it comes to creating new windows, window manufacturers have also found ways to make windows that offer improved levels of UV protection. This will prevent your carpets, furniture, walls, and more from fading due to sunlight coming in through your windows. There are so many great options available when you start shopping around for new windows for your home. They will increase the value of your home. Regardless of which windows you ultimately decide to install in your home, they will have an instant impact on your home’s value. Home buyers love to see new windows in homes, especially windows that offer things like energy efficiency and UV protection. So your investment in new windows will pay off quickly. Regardless of whether you want to replace one window in your home or all of the windows, Bruce’s Central is here to help. Call us at 570-424-8891 today to find out about our window installation services.